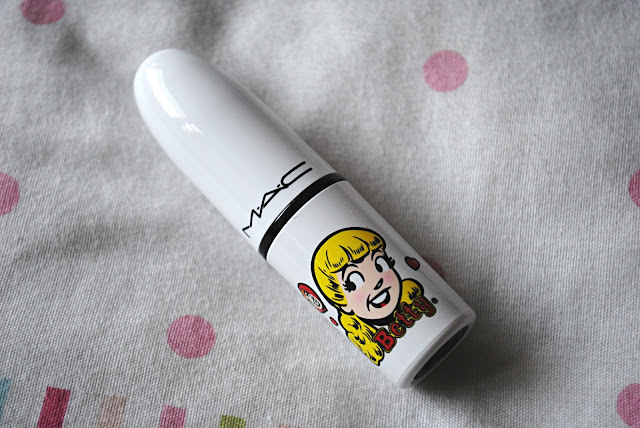 As soon as I saw the imagery for the new MAC Archie's Girls collection, I knew I had to have at least ONE thing from the limited edition range. I'll admit, I am a total sucker when it comes to MAC's LE collections - mainly because I am a packaging junkie and can't resist the chance to add some 'rare' make up goodies into my collection, but also because MAC always seem to deliver. It's very rare I find a MAC product I'm disappointed with, so of course, I keep going back for more, and the buzz which inevitably surrounds such a range only encourages me further. Whilst I was down in London, the Archie's Girls collection launched exclusively at Selfridges. I was in the mood to treat myself, and after a peruse of what the collection had to offer, I knew the 'Betty Bright' lipstick had to be mine. I was also EXTREMELY tempted by the 'Flatter Me' Face Powder but I (somehow) managed to restrain myself. It was fab being at Selfridges at the start of the launch, as there was loads of excitement surrounding it, with models posing as the characters from the comic series. 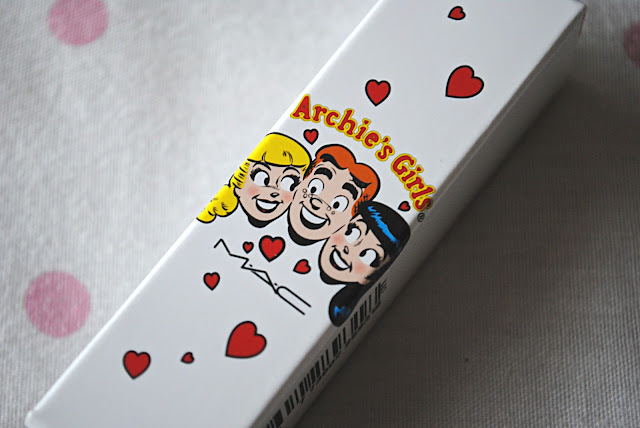 To be honest with you, I'd never heard of Archie's Comics before seeing the collection - yet knew I NEEDED something, which I think just demonstrates the influence a make up force like MAC has. So - what do I think to the lipstick? Well, I was a little taken aback when I was told '£15.50 please' - GASP - lipstick prices went up AGAIN?! When did that happen? But it wasn't enough to put me off purchasing such a beautiful lippy. I think Betty Bright is the epitome of the 'perfect' summer lip colour I always seem to be on the hunt for - a gorgeously bright coral-pink, in a satin formulation to really add some moisture and shine to the lips. I adore this lip colour - like all of MAC's lip products, it stays put, is ridiculously bright and beautiful and the finish is gorgeous. 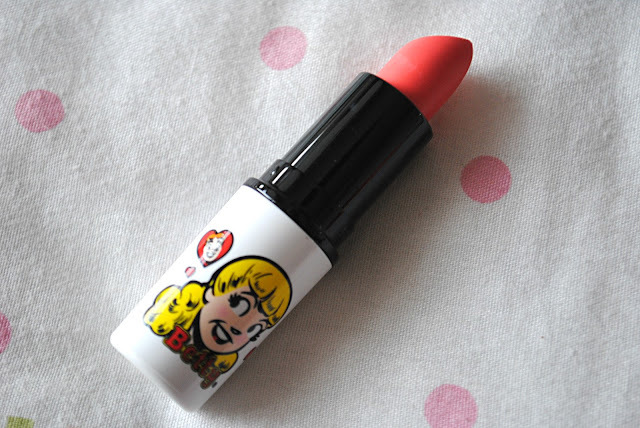 I must admit, however, that it is very similar to MAC's Nikki Minaj lippy, although it's slightly more coral. Although I already have this and I knew I HAD to have Betty Bright too - so perhaps not THAT similar? Unfortunately Betty Bright seems to be sold out online at the minute, but I definitely think it's worth checking out your local MAC counter! 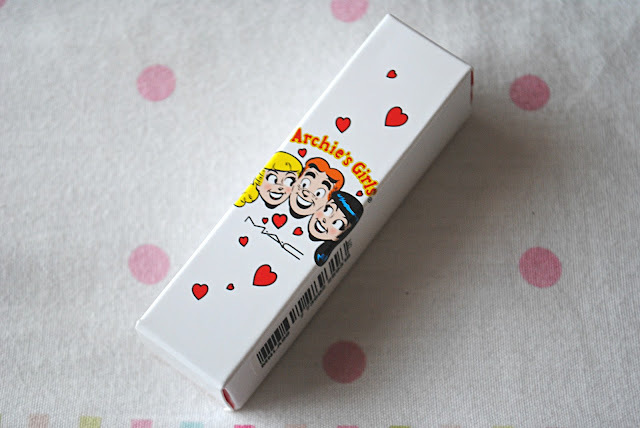 Have you purchased anything from the Archie's Girls collection? What did you think?